On the 31st March 2015, AsIAm launched its new initiative “AsYouCan”, aimed at engaging civic society and businesses in becoming more Autism-friendly. 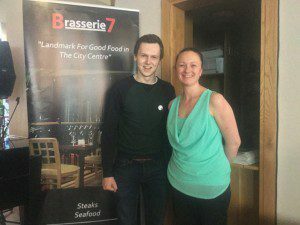 On the night, our event was sponsored by a very special restaurant Brasserie 7, which is located on Dublin’s Capel Street. Since then, we have continued to work with Dina, the owner, and her team at Brasserie 7 to help them reach out to the Autism community by providing Autism-friendly sittings, where families can go an enjoy a meal and just be themselves! We are excited that there efforts will be piloted this coming Sunday, 28th June, from 1pm to 4:30pm. We caught up with Dina to hear about why they are doing this, what it will involve and how you can make a booking! AsIAm: What type of restaurant is Brasserie 7 and why should customers go there? DA: Brasserie 7 is a modern restaurant located in the heart of the city centre. It seats up to 220 people but is broken down into lovely sections, soyou wouldn’t even know we could hold that many but yet can maintain a fantastic atmosphere. We are known for our amazing food and service and do our up most to ensure each customer is satisfied with their experience with us. AsIAm: Where did you get the idea to run an Autism-friendly initiative? DA: As a mother that has a child with Autism , I can very much relate to a lot of good, bad and difficult situations our children face on a daily basis – from loud noises being upsetting, to being over exited and screeching with excitement. As the years go on I have spoken to many parents and heard about the difficulties that they would experiences and one that pops up a lot is feeling people are staring at them or that, if they go out for a meal as a family, they might be disturbing other people’s dinners. As a well as this, their child may have a limited diet or preferences and so have special requests that people do not cater for. This has meant they do not enjoy going out for meals as a family. This was very sad for me as it is something we enjoy to do and I would love other family’s to feel comfortable while out and about. AsIAm: So tell us about your Autism-friendly sitting on Sunday 28th of June? DA: On the 28th of June we will have a business as usual, however we have a area where we will have no background music to cater for those with noise-sensitivity. 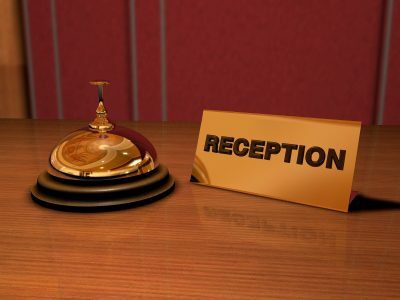 If you let us know in advance when booking if there is any special requests such as tables not being pre-set or food being served in a particular way or not touching, we will do our very best to ensure each request in filled and are happy to discuss this prior to your visit. We will also have a small area for the children to chill out, watch there iPads or use some of the activity’s we will supply. Activities can also be brought to table if the child would prefer that. The main aim of the whole day is to help everyone to feel as comfortable as possible and not to feel others are looking or being disturbed. AsIAm: Why do you think inclusion is so important? DA: Inclusion is so important because you learn important life lessons from the most unlikely people and turning away a opportunity like that is just foolish . AsIAm: What do people do if they would like to come along?